Interestingly, the spell check on my iPad changed the place name of Lazonby to ‘Lazy by’ as I started to write this article, perhaps it should have said ‘Lazy boy’. The reason for this will become apparent as this account of my latest race participation unfolds! The racing season is now almost two months old and so far I have taken part in just a handful of races. 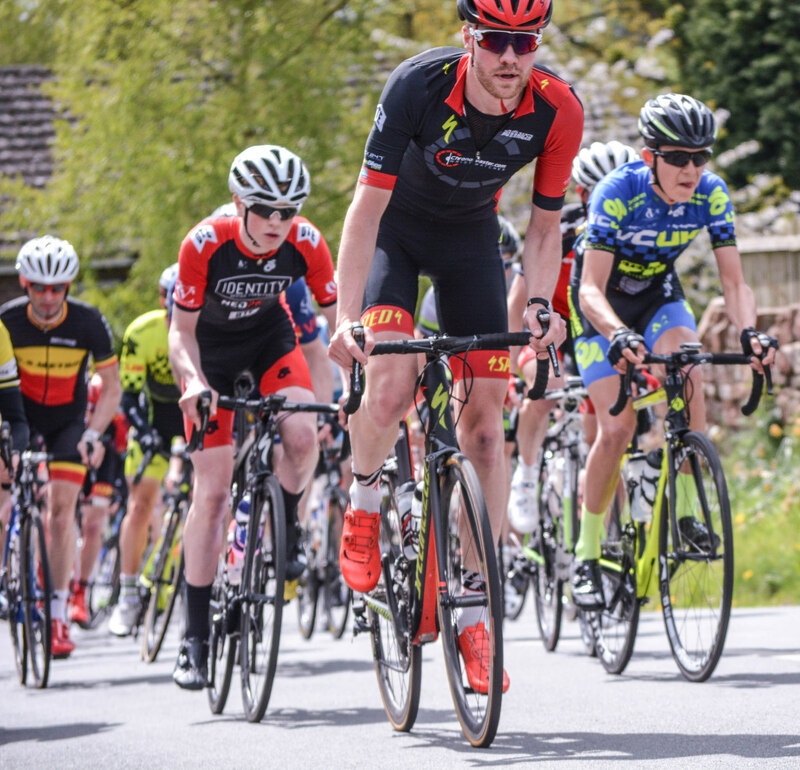 Competition for the limited places in early season races has resulted in a return to club run season for lots of us as we try and keep ourselves ticking over until the next race. I shouldn’t complain too much though, I seem to be getting in more races than a lot of people I know! 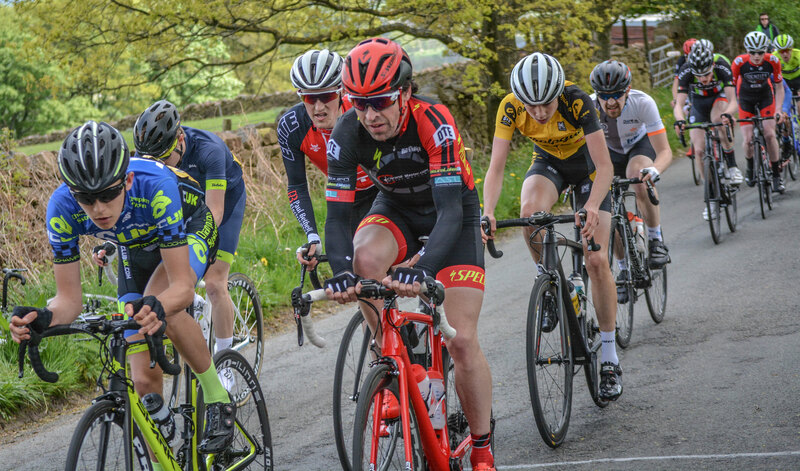 Most of the team had entered the Lazonby Road Race hoping to get in either the 3rd and 4th category or elite/1st/2nd category race. Unfortunately, whereas 8 of the team managed to get a ride in the 3/4 event only two of us, Karl Owen and I, managed to get a ride in the Elite race. With having a distinct lack of racing, training and luck this year one of my objectives was to finish the race and see how competitive I could be at the end. Karl had placed well in this event in previous years and may have have been slightly more ambitious. The Lazonby course is a great racing circuit, rolling hills, a couple of nasty drags (getting noticeably steeper towards the end of the race!) some rapid descents and a tough uphill finish. We were to complete 7 laps of the 10 mile circuit. With bright sunshine prevalent at the start of the race most riders were in shorts and short sleeves. Just a few soft lads (including yours truly) opted for arm warmers due to a chilly wind. As we set off downhill we were immediately up to 40 mph as early attacks tried to establish themselves. Unusually, I felt quite good from the start rather than having to wait for my ageing legs to warm up for an hour or so! Despite feeling ok, I didn’t think it would be prudent going on the attack straight away and adopted a nice position in the middle of the bunch. Close enough to see the action unfold but not too close to the back to make the race hard by constantly having to chase out of corners. I had (re)learned this the hard way the week before whilst loitering at the back of the bunch during a criterium race and the pain of poor positioning was still a vivid memory! Karl was looking frisky and got his considerable motor wound up on a few occasions to try attacking but was chased down each time. Eventually, a break of three riders (Karl and I not amongst them) established itself gaining a gap of around 90 seconds and this was essentially how the race stayed right until the final miles. Having found a comfortable position in the bunch, which kept getting closer to the back as riders were dropped, I perhaps became too settled and thoughts of a glorious attack were quickly dismissed as far too energetic, tough and unlikely to succeed! However, as the race progressed I had started feeling ok on the climbs, especially the last two climbs of the circuit, and began thinking about saving myself for the final uphill sprint to the line to see if I could get a decent placing. On the second to last climb riders in the bunch made a last push for glory. Karl and I nearly found ourselves in the wrong half of a split but we stayed with the leaders and over the top of the hill Karl made a trademark bid for freedom on the descent… which was thwarted! The descent to the finish was fast and as we approached the final left hand bend, at the bottom of the final climb, the scramble for positions became quite fraught, quickly reminding me why I don’t get involved in big bunch sprints. I started the finishing climb quite a way behind the front riders but managed to pick my way past quite a few riders in the strung out bunch to make my way to an eventual 15th place finish with Karl finishing a few places behind. The three leaders had managed to stay clear to the finish although the lead was just a handful of seconds on the line. Edward Roberts of Team Elite won the 3 man sprint for the honours to take a hard earned victory. Rock n Roll cycles did a great job promoting the two races on the day and it’s a big thank you to them and their organising team! Thanks again to Ellen Isherwood for taking some great pictures! This entry was posted in Results and Reports and tagged Karl Owen, Lazonby RR, Stephen Feeney. Bookmark the permalink.